We are a leading Manufacturer of 3 wm benz mountings from Ludhiana, India. 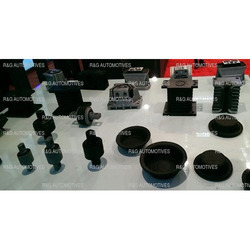 Our organization has excelled in business by offering elevated quality array of Benz Mountings 1 WM. The products offered by us is used to provide fluid movement between pistons and a crankshaft. This products is manufactured at our end using best quality material and latest technology. Our offered products is highly demanded in the industry due to its durability & perfect finishing.